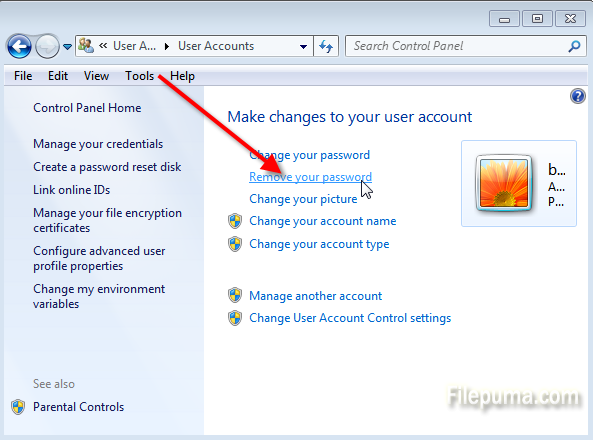 How to Remove User Account Password in Windows 7? 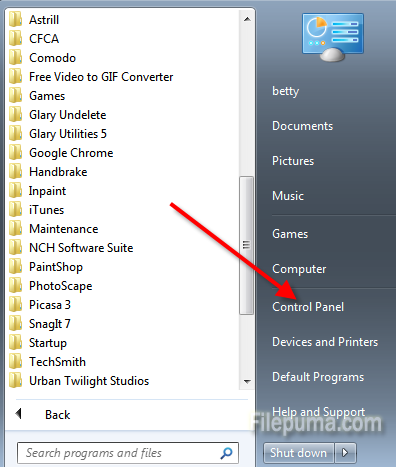 Step One: Click on “Start” and then “Control Panel”. 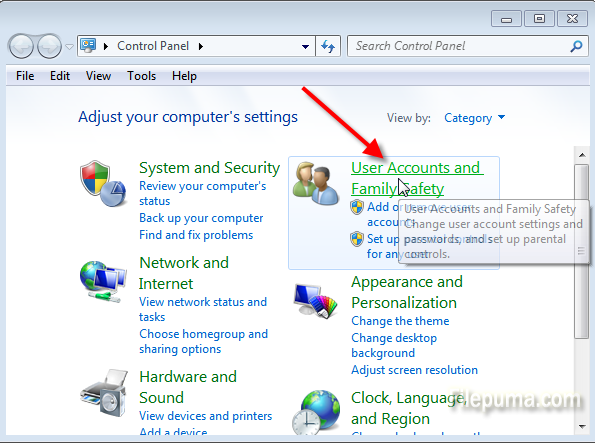 Step Two: Click on the “User Accounts and Family Safety” link. 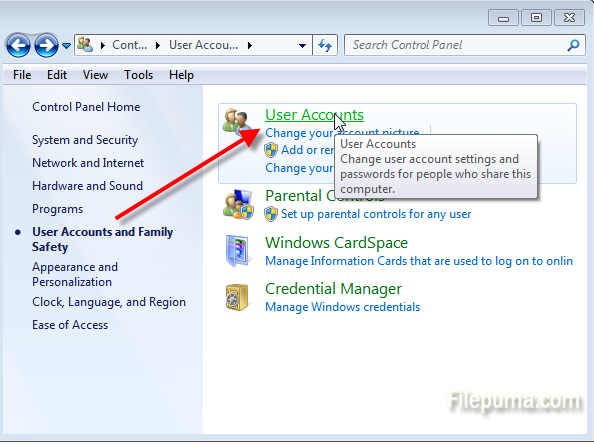 Step Three: Click on the “User Accounts” link. Step Four: click the “Remove your password” link. Step Five: In the text box on the next screen, enter your current password. 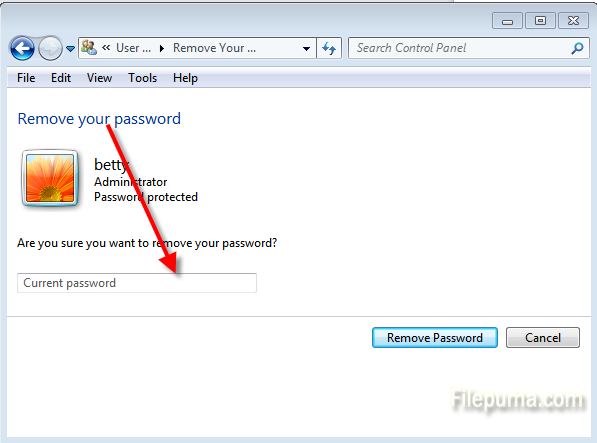 Click “Remove Password” button to confirm that you’d like to remove your Windows 7 password.